Ensenada, nick named “The Pearl of the Pacific”, makes our “Best Places to Live” and “Best Places to Visit” list for it’s close proximity to the U.S. (just 78 miles south of San Diego), large international expatriate community, diverse landscape, mouth watering sea food, breath taking wine country and more! Modern conveniences, widely spoken English and cultural events make Ensenada an alluring choice as a relocation and vacation destination. The general population of about 280,000 consists mostly of local Mexicans, marines, students of marine and other sciences, young professionals and expatriates including Asians, Europeans, Canadians and Americans. The mix of ages and cultural backgrounds adds a vibrancy to Ensenada not found in other Mexican enclaves and is reflected in the music, art, theater and flavors throughout Ensenada. Ensenada offers numerous and diverse cultural events such as museums, wine tastings, theater, top notch cuisine, exciting night life, music festivals and sporting activities. There is no shortage of fun in this vibrant city! 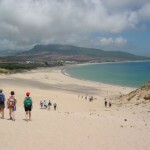 The Pacific Coast beaches provide miles of beach combing, sea kayaking, surfing, sport fishing and gray whale watching! Since the city is on the harbor you need to drive north or south to get to a local beach. However, the harbor itself is an exciting and bustling place to view Naval ships and yachts while enjoying fresh sea food fare, wine, local musicians and vendors. From the third week of December through March, grey whales visit the oceans of Ensenada searching for warm waters to give birth to their whale calves. Dolphins and sea lions are also prevalent here and are a joy to watch! Musical talent is abundant in Ensenada. 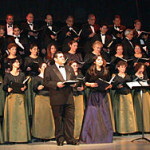 An International jazz festival is held annually the last weekend in September that is free to the public. On top of jazz festivals, you can find blues bands, mariachi’s and young contemporary artists found in coffee shops and restaurants all over town. 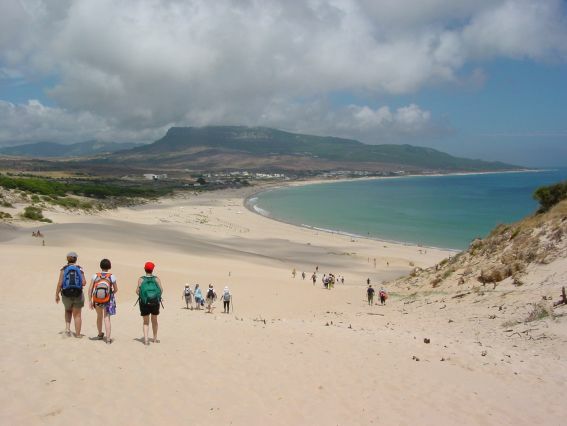 The mountain ranges of the Sierra de San Pedro and the Sierra de Juaréz provide hiking, mountain biking, para gliding and bird watching activities while The Desert of Death offers ATV and off-roading activities (bring plenty of water!). Finally, wine country lies in the Valle de Guadalupe where nearly 80 wineries call home. The winemakers themselves make the rounds to welcome you to their orchard and give you a bit of their personal story. An annual wine festival runs the entire month of August, with internationally acclaimed artists performing in vineyards at night. This wine festival brings visitors from all over the globe as Mexican wines are gaining popularity among the most refined and sophisticated wine lovers internationally! Located next to the Pacific ocean and backed by the Sierra de San Pedro and the Sierra de Juaréz mountain ranges, Ensenada has mild year round temperatures. The rainy season (November through February), during the winter has an average temperature is 55 ° F. Summer months (June to September) are the driest and have an average temperature of 72 ° F. Ocean temperatures are the warmest in August and September (between 77 and 86 ° F). Bio-medical device companies and biotech researchers, both from San Diego and Mexico, are one of this areas largest economic contributors. Cruise ships keep the tourism industry flourishing all year. Agriculture, importing and exporting, naval bases, all contribute to a healthy economy in Ensenada. To Californians, Ensenada is less expensive, and many people from San Diego live in Ensenada and commute to work each day. 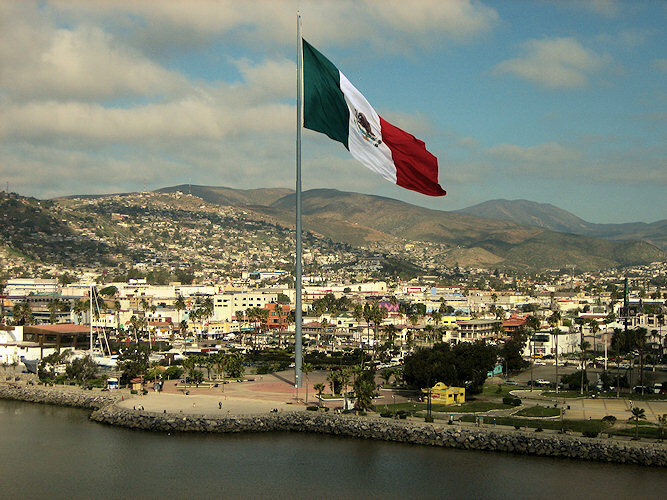 However, compared to the rest of Mexico, Ensenada is indeed one of the most expensive cities in Mexico to live in. Prices for groceries and dining are more similar to what you might pay in a U.S. city like Denver. Electricity in Mexico is high but gas manages to stay at about $3.50 a gallon. Hiring laborers is much less expensive than what you would pay in the states and it’s possible to find inexpensive apartment rentals if you keep your accommodations simple. We recommend renting in Ensenada for a while before purchasing. Long term rentals run anywhere from $500.00 U.S. (small apartment)– $2500.00 U.S (condominium or home) a month, plus utilities. Ensenada has modest apartments for rent that are simple and sparce if you want to rent cheaply within the interior of the city. Typical additional utilities are electric (varies widely depending on use), water ($6.00 a month) and cable ($50.00 a month). Vacant lots, apartments, condos and homes are available and prices range depending upon the approximaty to the city or ocean. A small condominium will run somewhere in the neighborhood of $150,000.00 up into the millions depending upon it’s amenities and views. A free standing home can run anywhere from $275,000.00 into the millions. 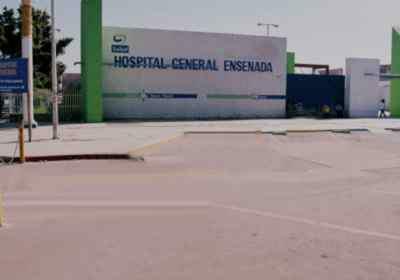 Ensenada has small clinics that provide good care but they are not capable of handling advanced emergency care. More serious emergencies are referred to either Tijuana or San Diego. With the large expatriate community, English is more widely spoken in the medical facilities. 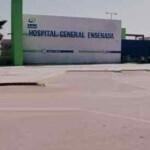 Hospital Cardiomed and Hospital Velmar work with most Mexican and some U.S. and Canadian insurance plans. The closest airport that accepts international flights is Abelardo Rodriguez International (TIJ) in Tijuana. From Tijuana to Ensenada, it is an approximate 70 minute drive on the Hwy. 1 South toll road. Ensenada is located on the Bahía Todos Santos, or “Bay of All Saints” The Bay is home to several marinas including, Coral Marina, Cruiseport Village Marina, Hotel Coral and Marina, Marina Baja Navel, and Bajamar Oceanfront Golf Resort. 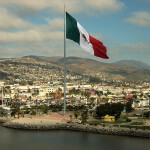 The Port of Ensenada is reported to be the simplest place to make first entry into Mexico and secure your TIP paperwork. The port captain will inspect boats on arrival and advise on the required procedure and the order of offices to be visited. Officials do not work on weekends. The Port Captain’s office is located on the west side of the breakwater channel into Puerto Madero, so it is easier to land your dinghy along the west beach in the turning basin, and walk over. The API office is now east of the parking lot off the north basin. You can handle your own port clearance here or use the services offered by any of the 3 marinas. The clearance process here is now a “one-stop shop” where you can complete your immigration, port captain, and pay fees all in one location. Situated inside the harbour breakwater , Av. de la Marina #10, Zona Centro. All services including speedy port clearance and internet. 24hr security. Boatyard with 75 ton travel lift and shore storage. 2.75 nm north of Ensenada Services include fuel, water, electricity, toilets, showers, pump-out and port clearance service. There are also restaurants, swimming pools, spa and a night club. A busy marina and advisable to book in advance. There are banks located all over Ensenada including BBVA Bancomer, Banamex , Banorte, HSBC, Santander, Scotia Bank, and other smaller branches. ATM machines are every where that dispense pesos. There are at least 10 different, qualified veterinarian’s in Ensenada. Most of them speak English. The Gringo Gazette North is the local newspaper here. It covers local news, sports, business, jobs, and community events in English. There is a local post office in Ensenada but most people use a private mail service. 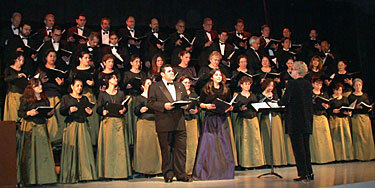 P.O. Box International, located at the corner of Calle Sexta and Moctezuma, will issue you a U.S. address that costs about $200/yr. They collect mail and packages and the same can be shipped out. According to the United States Department of State Travel Warning , Ensenada is not mentioned as a city to avoid specifically but is included in the Baja California north region which does have a travel advisory. There is no travel advisory for Baja California Sur. Cities named specifically with a travel advisory in northern Baja are Tijuana and Mexicali due to the TCO’s (Transnational Criminal Organizations) and people in the drug trade. There have been incidences where innocent bystanders have been caught in gun battles in these citiies but considering the large amount of visitors who come to these areas annually, the crime rate against Americans and Canadians is about equal to visiting New Orleans. Ensenda has low incidences of drug trafficking activities due to a strong police leadership and presence. The police do a very good job of protecting Ensenada. Petty theft is the #1 crime against tourists and expatriates in Ensenada according the PGR (equivalent to the FBI in Mexico), which is prevalent all throughout Mexico. Locals and tourists alike are out at night, driving, dining and dancing, without incident. For those crossing into Baja, Mexico from the U.S. border, there are three main points of entry: Tijuana, Tecate, and Mexicali. Make sure that you have your Mexican auto insurance before you cross the border. The most simple, and quickest way to purchase auto insurance is on-line as it will be one less thing to do at the border. The most direct route for anyone coming from San Diego is to go through Tijuana on Highway 1, either at the San Ysidro crossing (I-5 ) or at Otay Mesa (Highway SR 905 ). Coming from Tijuana, take the Playas de Tijuana exit or Rosarito/Ensenada Toll Road exit. The Playas de Tijuana road turns into the Tijuana-Ensenada Toll Road. There will be three toll stops en route to Ensenada and the tolls cost about $2.50 each or $30.00 Pesos. It’s a little over an hour drive, or 68 miles from Tijuana to Ensenada. There are plenty of gas stations between Tijuana and Ensenada as well as places to eat and drink. If you are bringing your pet with you, make sure you get a valid U.S. Veterinarian Health Certificate Form and Rabies Certificate # 77043 within 5 days of crossing the border. If you will be traveling longer than that before you reach the border, there are plenty of veterinarians in San Diego. Call your bank and credit card companies to notify them of your plans to travel to Mexico. It is not necessary to carry a lot of cash, and not recommended, as banks and ATM’s are prevalent in Ensenada. Most merchants and restaurants accept U.S. credit cards, however, to avoid a block on your debit or credit card, notify them of your travel plans. U.S. dollars are accepted everywhere, but you will get a better exchange rate if you use pesos. All ATM machines can dispense pesos and some dispense dollars. To call Ensenada from the U.S., the code is 011-52-646 and the number. The area code to Ensenada is 646.